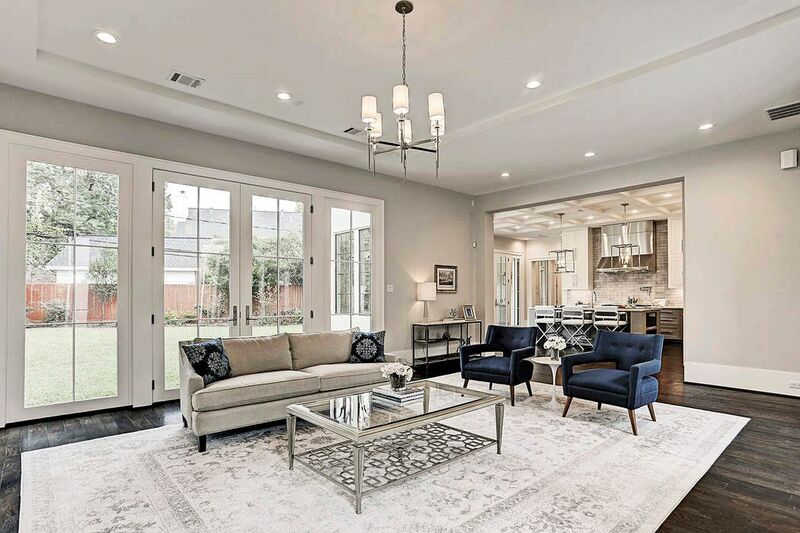 2226 Mcclendon Street, Houston, TX 77030 | Martha Turner Sotheby's International Realty, Inc.
Collaborating with the architecture firm, Brickmoon Design, Smith Family Homes is proud to present this resplendent 5,970 square foot home in Southgate. 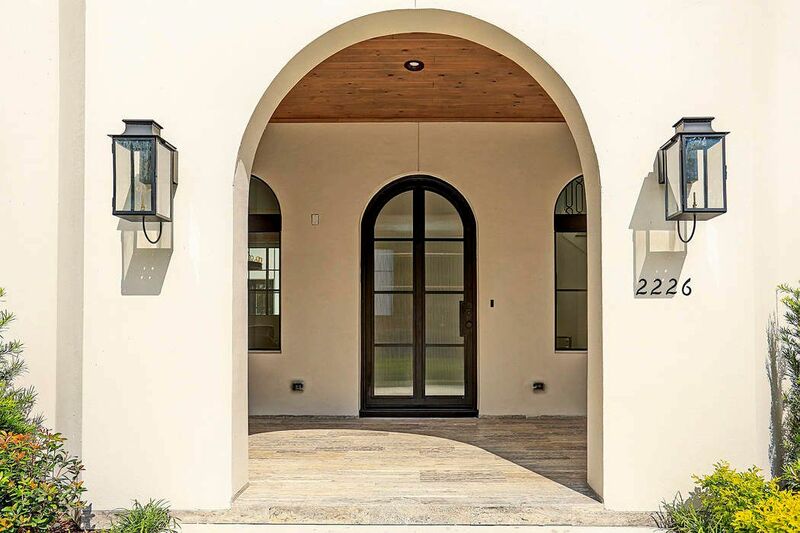 The design team was cognizant of the positioning of the home and developed a site plan that incorporated architectural details such as the deep front porch to assist in creating a sense of privacy from passers-by. 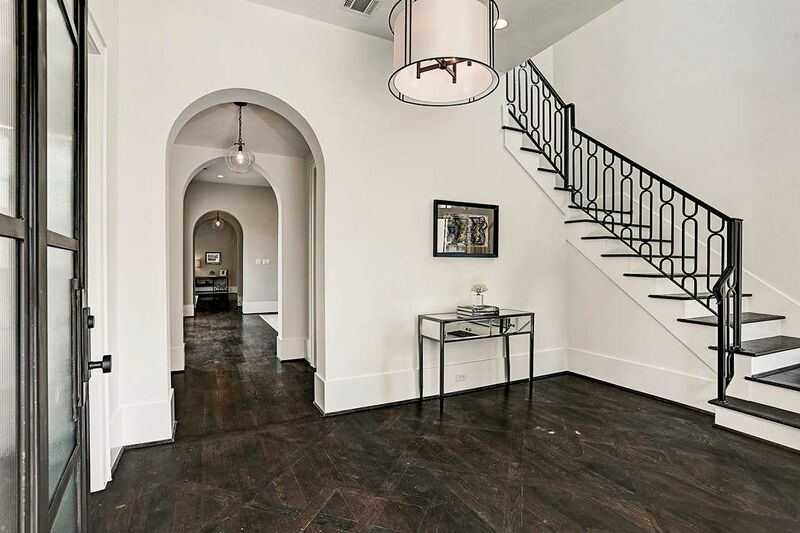 The grand entry hall has custom ironwork and an intricate floor detail, a precursor for what is in store throughout this home. 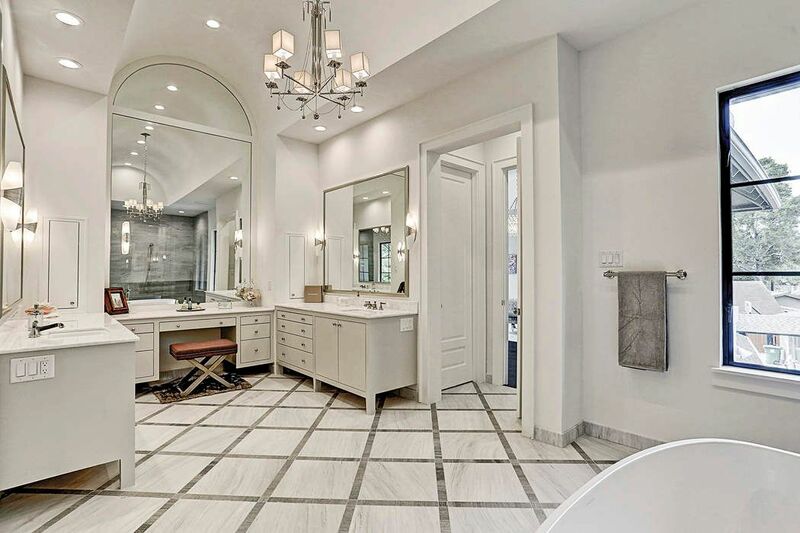 The powder bath just beyond the arched opening services guests for formal events. 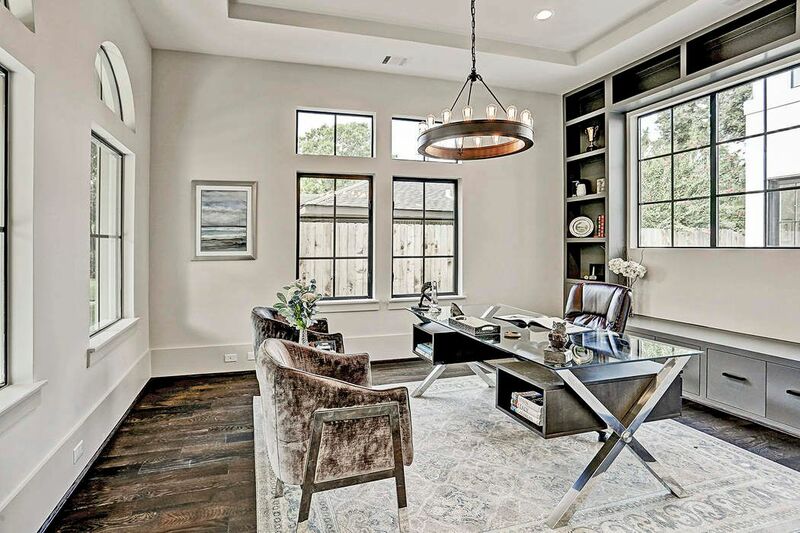 The 17' x 12' study is located just off of the entry hall and provides a wall of built-in cabinetry on the north wall. 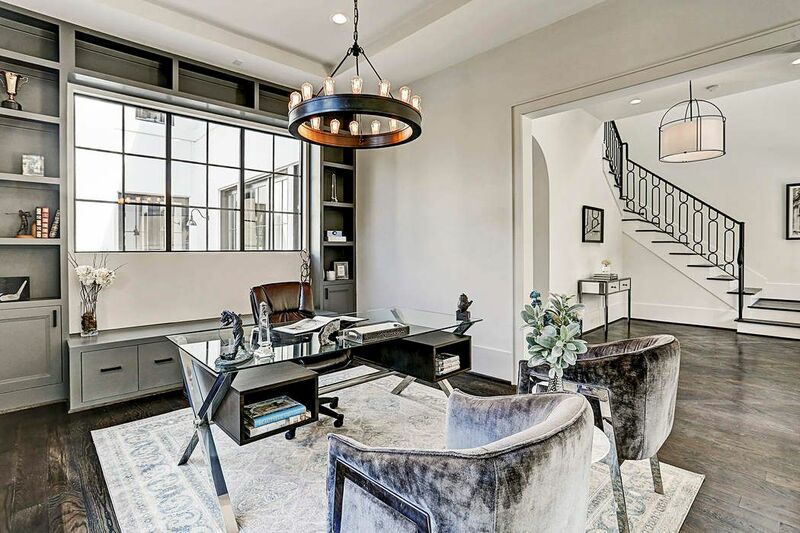 The study is afforded a tray ceiling with recessed LED lighting juxtaposed with a handsome Ralph Lauren Home light fixture. The 19' x 17' dining room has 11 foot ceilings and views overlooking the private, 23' x 22' center courtyard. 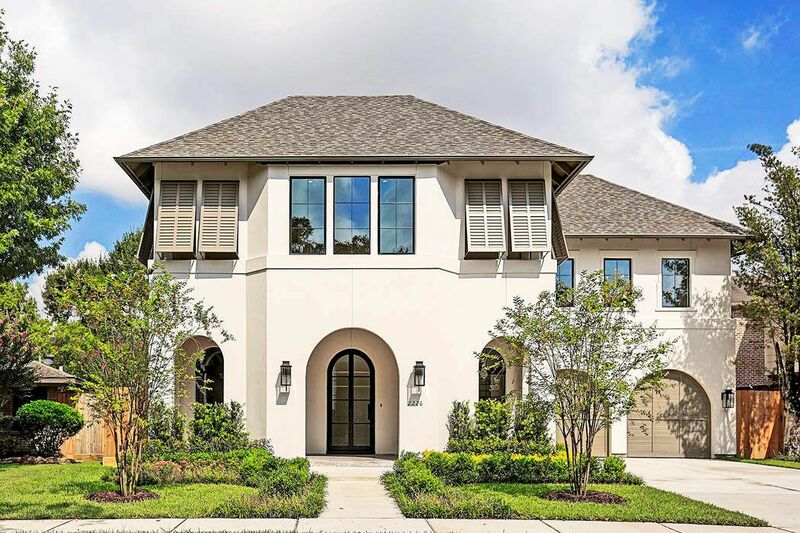 The builder teamed up with Allie Wood Design Studio to create a residence that features refined finishes that is intertwined with a sense of casual living. 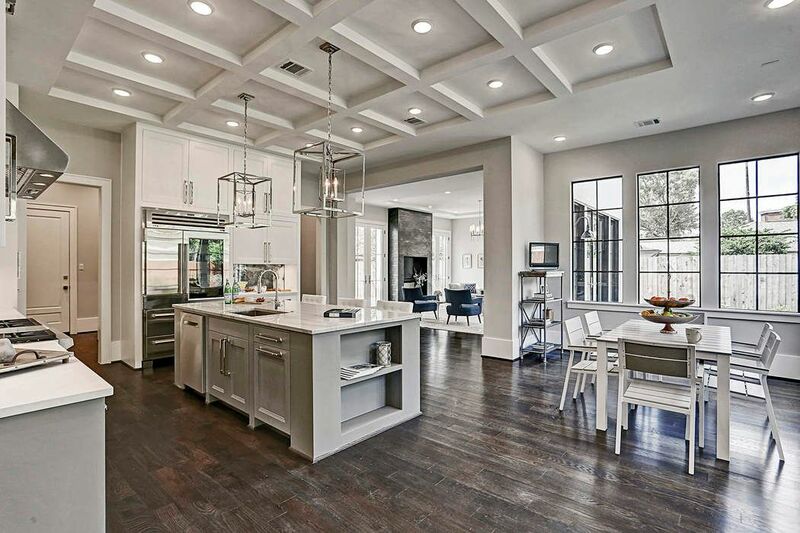 Notice the custom design elements such as the subtle ceiling detail. A view of the 25' x 24' living room has views of both the center courtyard and spacious backyard. 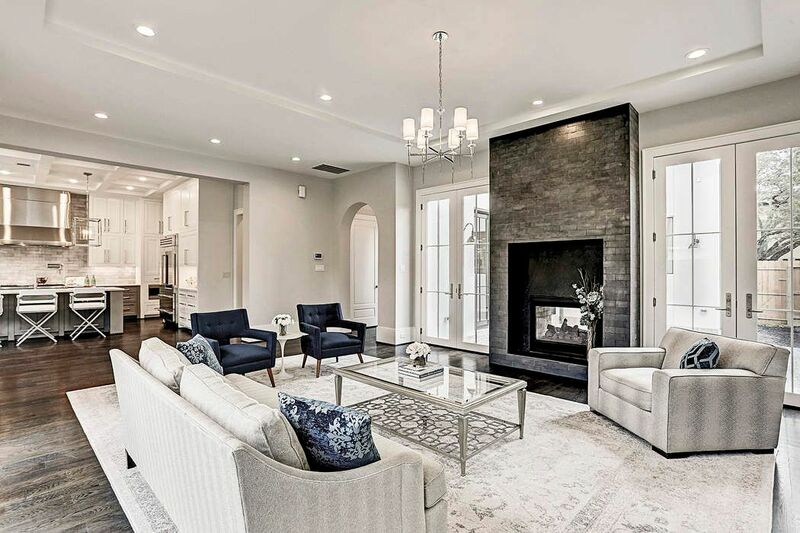 Between the pair of French doors is the 42" dual-sided Twilight fireplace with black soapstone surround and Metallic Black Lava Calda tile by Ann Sacks. Oversized metal clad Jeld Wen doors that open to the backyard and 11 foot ceilings help to create a voluminous effect. 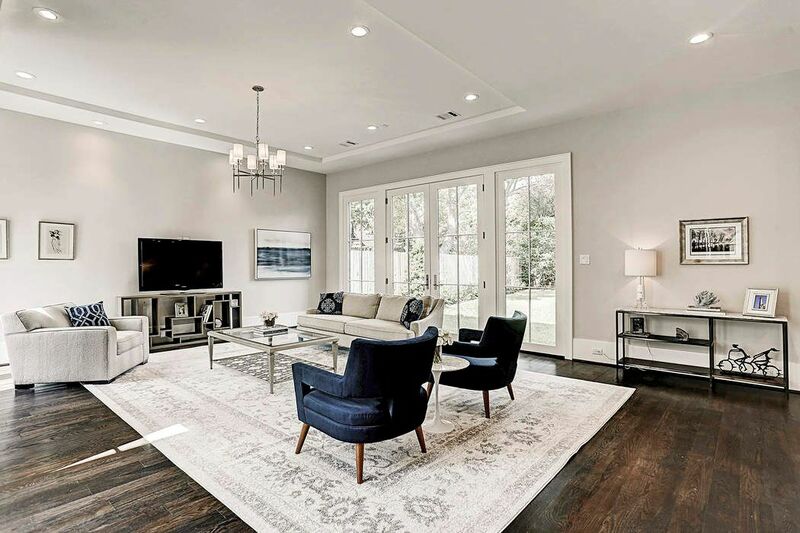 Worth pointing out is the thoughtful floorplan that has easily defined rooms that allow for both large and intimate gatherings. The appliance package includes a multi-zone, glass front SubZero refrigerator, 48" Wolf range with matching hood and microwave as well as a Bosch dishwasher. The backsplash is a custom-ordered Rustic Greige Lava Calda tile by Ann Sacks. Situated underneath the White Macaubas quartzite island are dual Osborne lanterns in polished nickel with surround counters that are Organic White Caesarstone. The vestibule to the left is where you will find the walk-in pantry and Butler's pantry. The wine room has a bespoke display wall with dual zone refrigeration in the built-in serving bar. 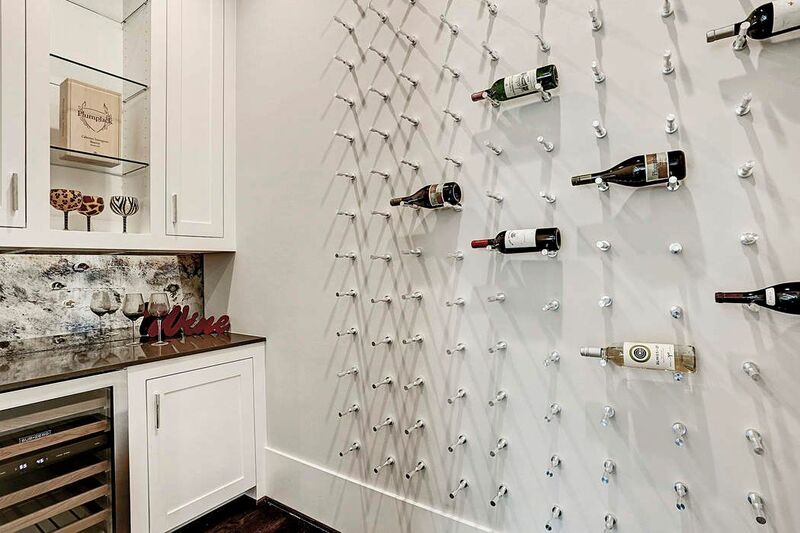 Should you have a need for more capacity to keep your wine at a specific temperature, inquire with the builder to help accomplish that desire. The Butler's pantry features a Calypso Nebula counter by Silestone, custom antique mirror backsplash and cabinet hardware by Top Knobs. Glass front cabinetry facing the dining room allows your fine china & crystal to be on display. 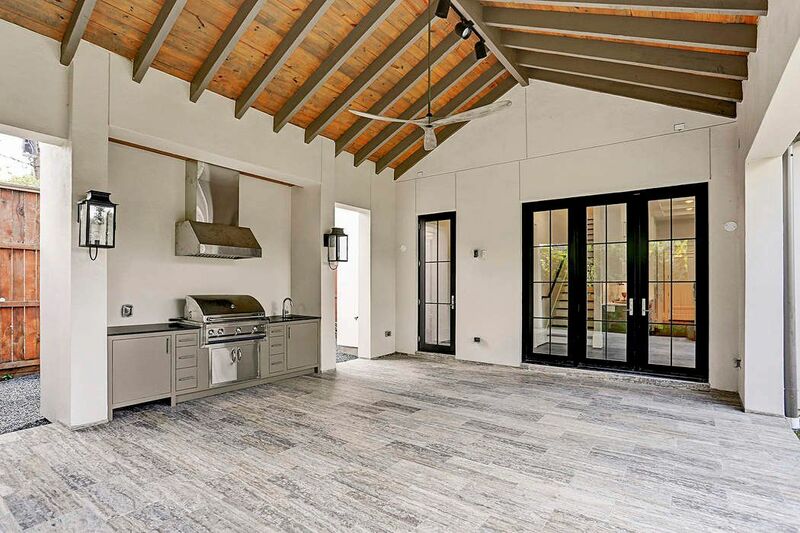 The Digby chandelier by Currey & Company provides the perfect amount of ambient lighting while dining adjacent to the private center courtyard. The master suite boasts over 1,000 square feet of pure serenity. 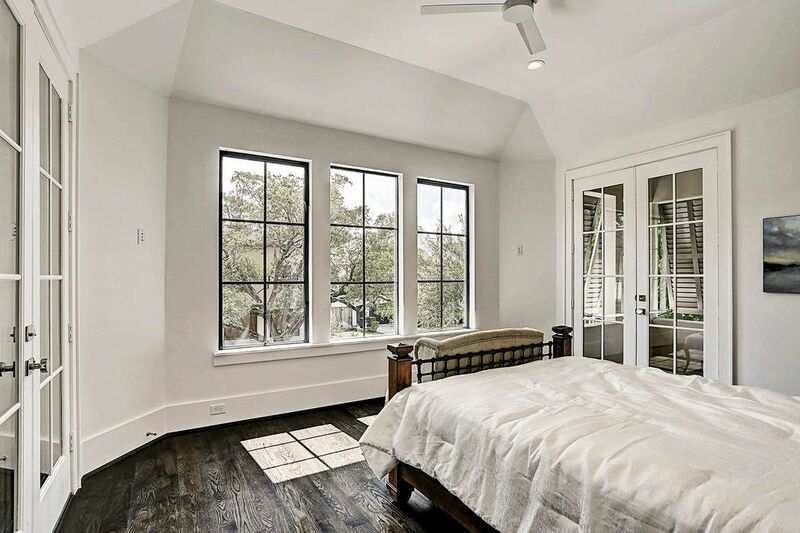 The fireplace is the focal point of the room while windows to the south and north allow natural light to flood the room. 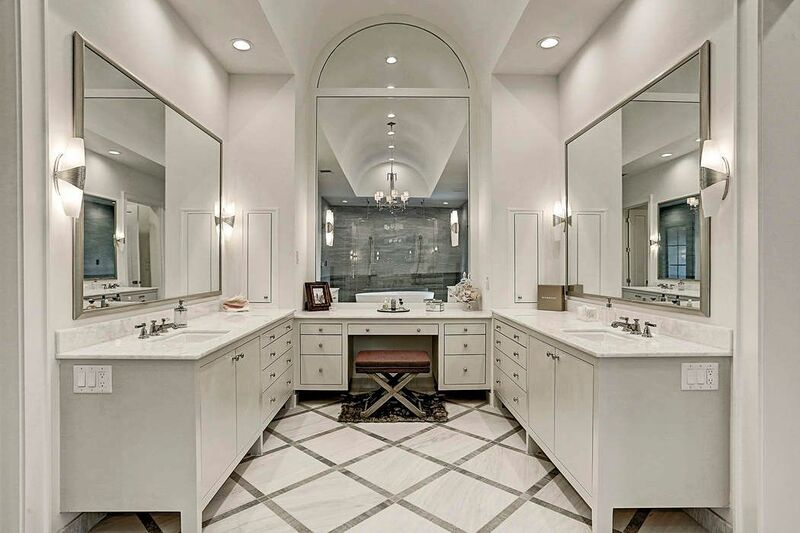 Here is a view of the master bath with its barrel vaulted ceiling. Adorned with custom cabinetry and a grand-scaled mirror, the Opal White marble vanity is a remarkable feature found within this lavish bath. The Adele four-tier chandelier in polished nickel sits center stage within the generously-sized master closet. With the elevated ceiling height, this closet has the ability to handle three rows of clothing, essentially adding 50% to its capacity. The master bath measures 26' x 13' with a Victoria + Albert soaking tub placed in front of the large shower enclosure. Polished nickel fixtures and Restoration Hardware accessories marry well with the Lagos Azul & Gascogne Blue stonework. Positioned above the foot of the bed is a Lesina chandelier in Brushed Silver Leaf. The 42" fireplace is inset into a custom-designed fireplace wall. Throughout the home is Benjamin Moore paint with Nimbus being the chosen hue for the master suite. Centrally located, the upstairs game room measures 22' x 18' and has three entry points that lead to the bedroom wing, the guest suite and master suite. West facing windows provide a view overlooking the private, center courtyard. 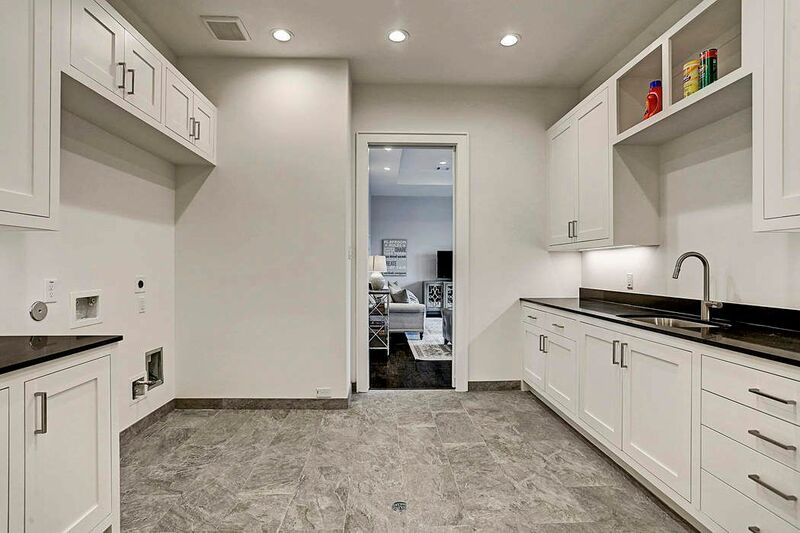 The door to the right leads to the oversized 13' x 12' utility room, which is also connected to the master closet. Situated on the south end of the home is a 19' x 16' secondary bedroom with dual verandas on either side. Its location, just off of the front stairwell, provides separation should one desire for this to be used for multi-generational families. 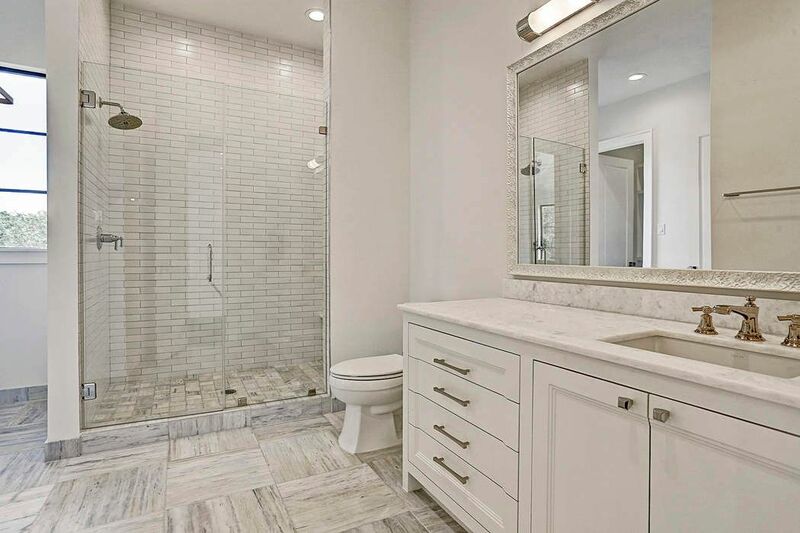 Captured here is the guest suite s bath which has Opal White marble counters with polished nickel Brizo plumbing fixtures, 24" x 24" white honed Metro marble floors and Selecta light fixtures in polished nickel. 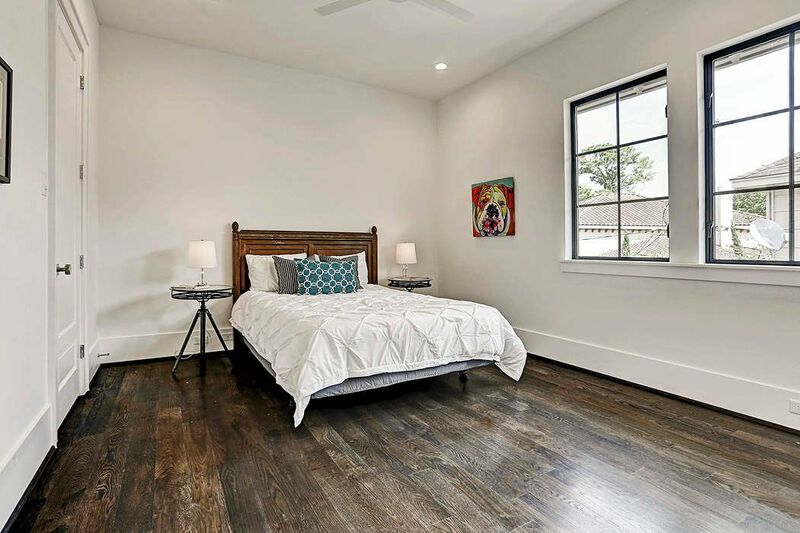 This 14' x 13' secondary bedroom has south facing windows overlooking the front yard. 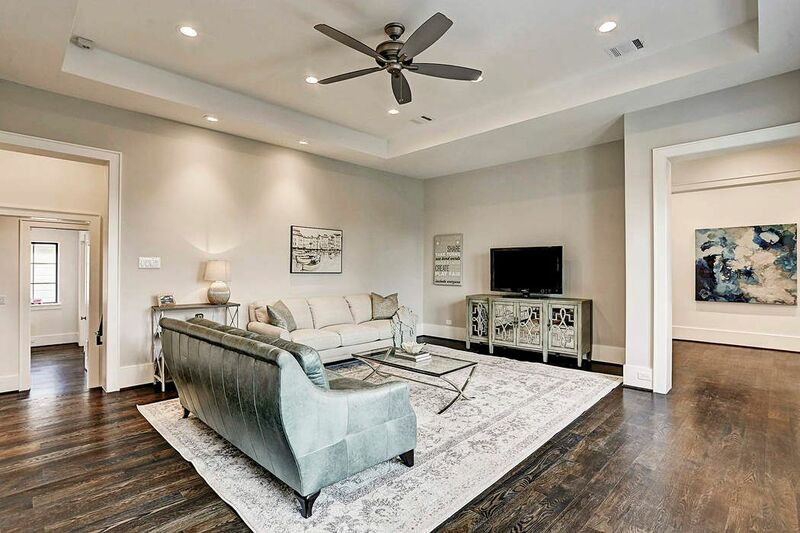 The 52" Roto ceiling fan is an amenity found within each of the secondary bedrooms. 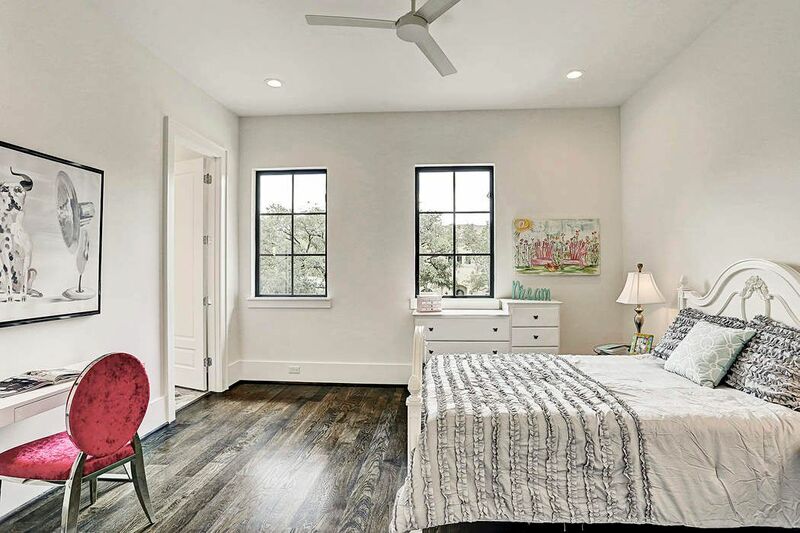 Other details worth pointing out with regards to the quality of construction within this home are the integrated electric plugs into the baseboards, custom oversized windows, Emtek door hardware and energy efficient, spray foam insulation. Pictured here is the fifth bedroom on the property. 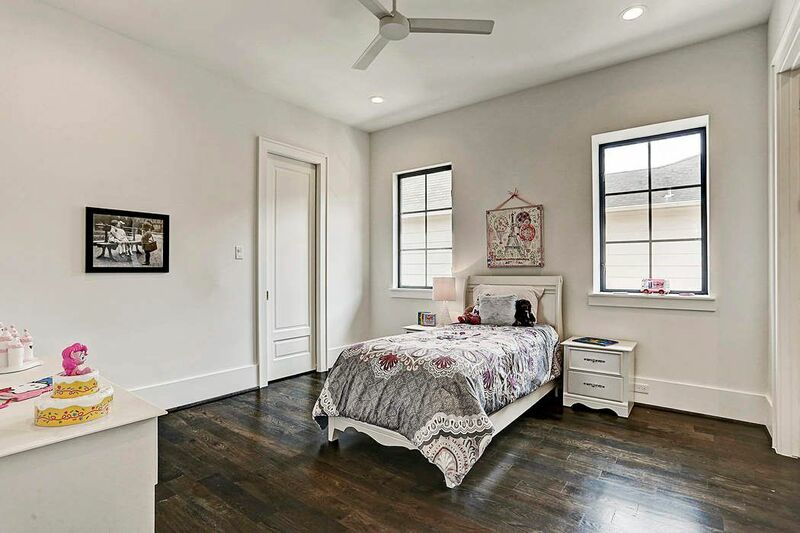 Many homes have four bedrooms with a flex room that was intended to be a game room but could be used as a bedroom. 2226 McClendon is a true five bedroom home that also has a separate game room. Even the utility room is given the best of finishes. 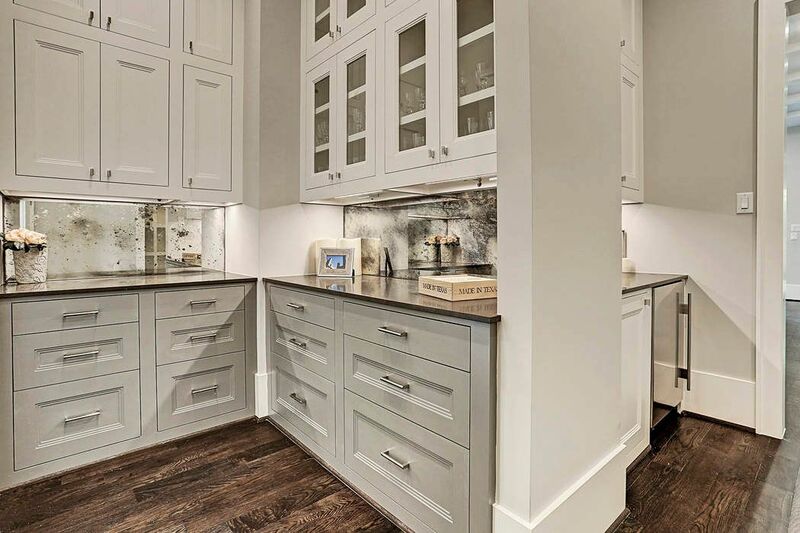 Custom built cabinetry with undercabinet lighting, hardware from Top Knobs, and Absolute Black honed granite counters are found within the amazing utilitarian space. 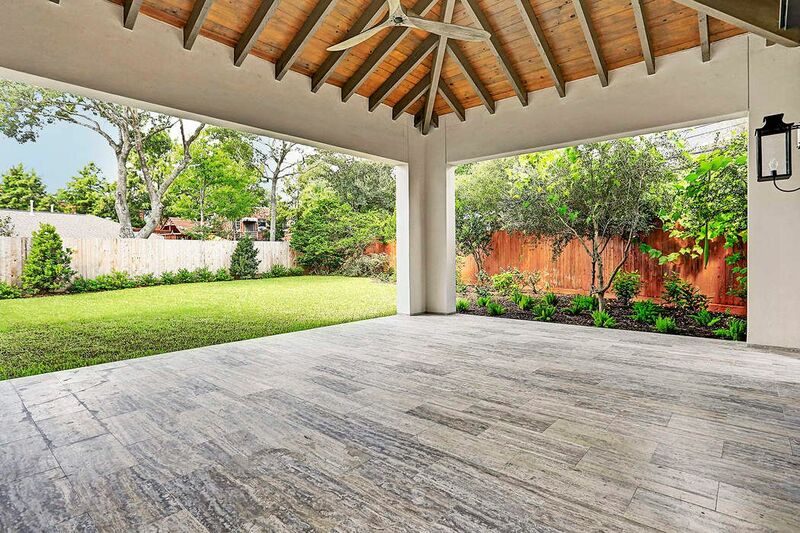 The 24' x 20' outdoor pavilion provides perfect sanctuary while enjoying the backyard of this 11,840 square foot lot. As witnessed here, the spacious rear lawn can easily accommodate an oversized pool. The 70" ceiling fan has Balsa wood blades. The outdoor pavilion has a 36" Artisan gas grill with 36" Broan venthood. 9' Jeld Wen French doors on the right lead to the kitchen while the door on the left takes you to the cabana bath. 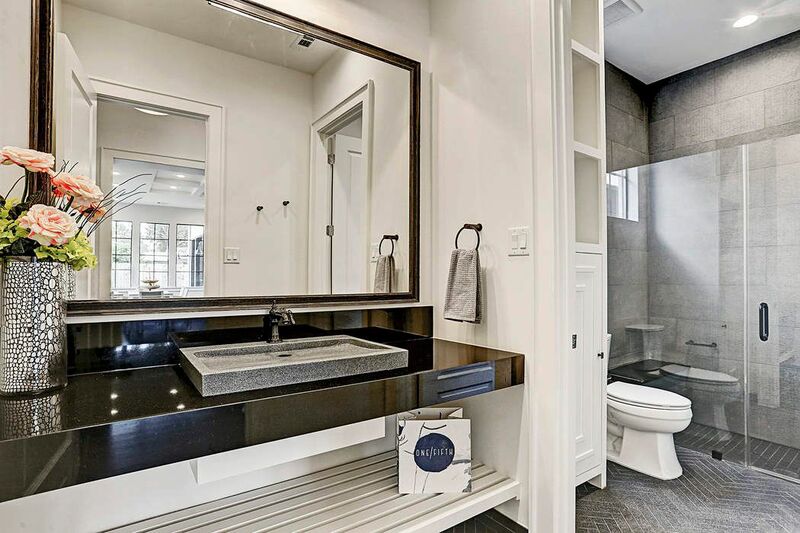 The cabana bath continues the theme of extravagance with a 27" granite sink, underneath slat shelving, herringbone granite floors and a shower enclosure with Basalt Combed walls. 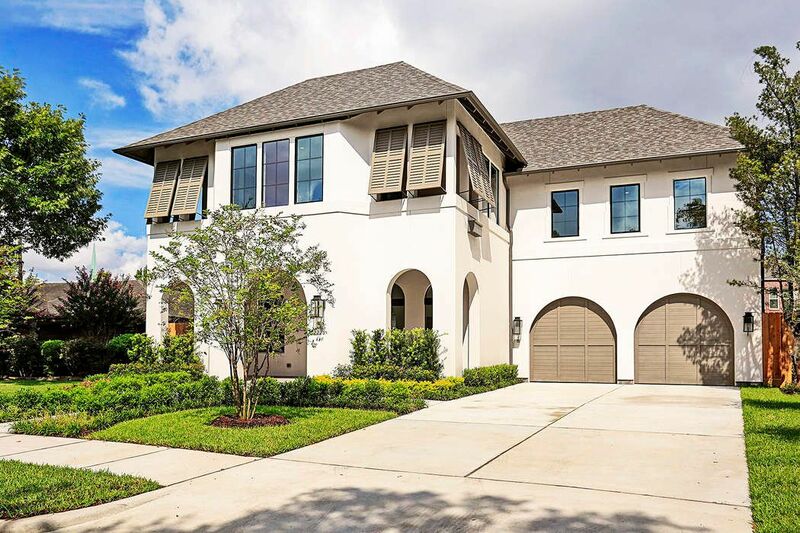 Smith Family Homes is cognizant of the environment and constructs homes utilizing materials, such as spray foam insulation, that have a nominal carbon impact. The garage doors open to a 3-car garage that has a maximum depth of 45 feet. 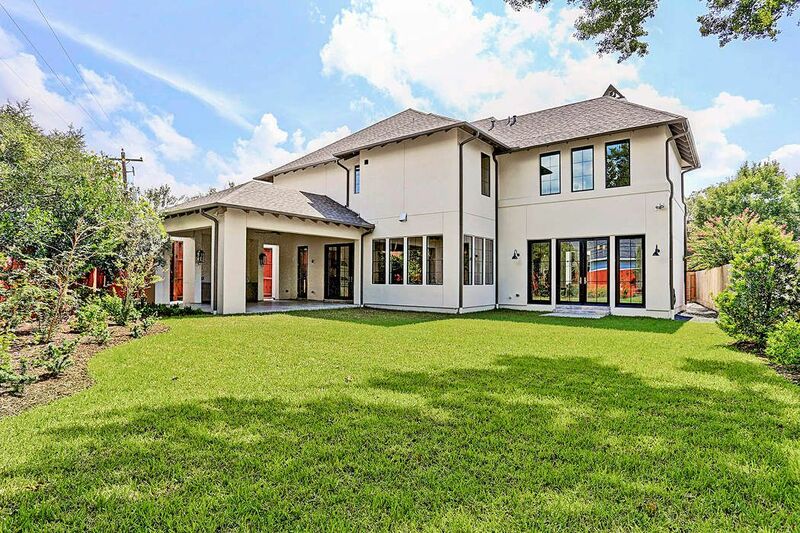 $2,598,950 5 Bedrooms5 Full / 2 Partial Baths5,970 sq. 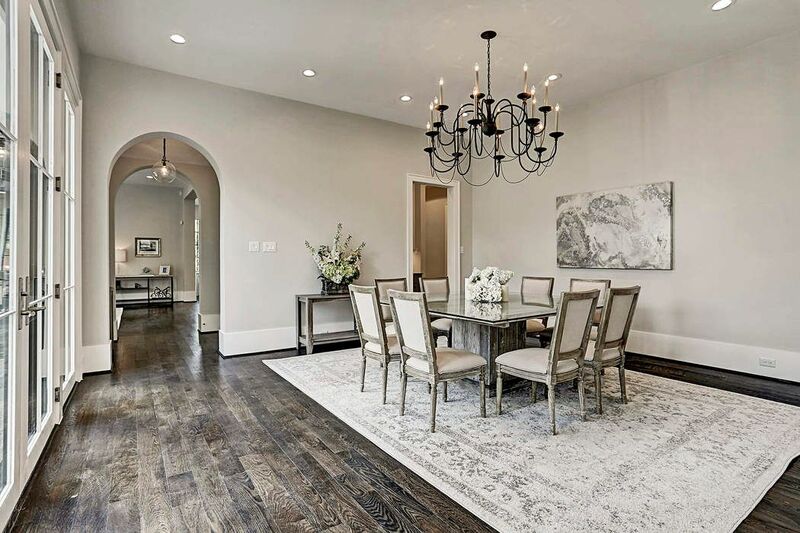 ft.
Smith Family Homes has collaborated together with the heralded architecture firm, Brickmoon Design, and highly published designer, Allie Wood, to create this phenomenal example of refined living in a transitional environment. 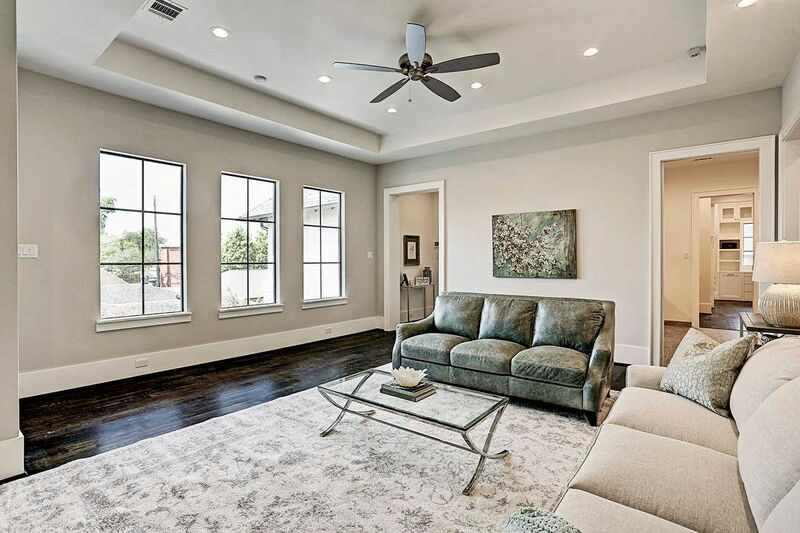 Located in Southgate and zoned to exemplary-rated, Roberts Elementary, 2226 McClendon provides 5 bedrooms, 6 1/2 baths and a 3-car garage. With close to 6,000 square feet of living situated on an approx. 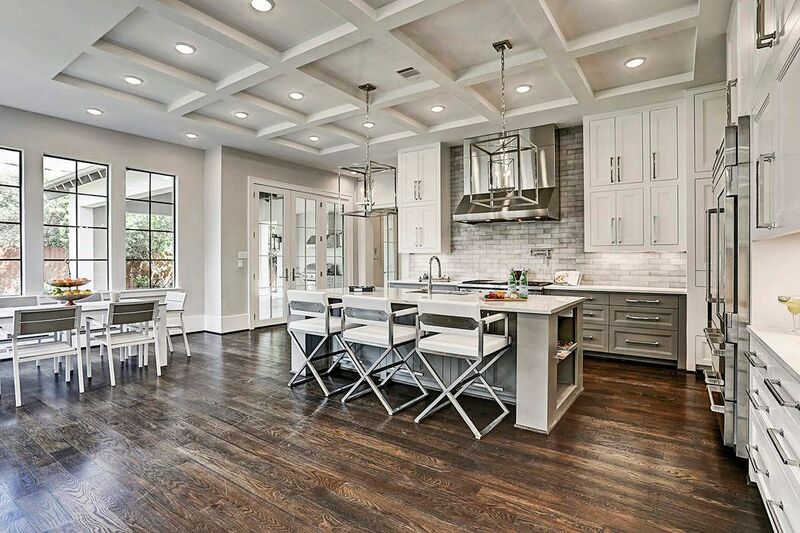 11,840 square foot lot, the builder was able to tastefully blend today's popular trends with timeless finishes and design. 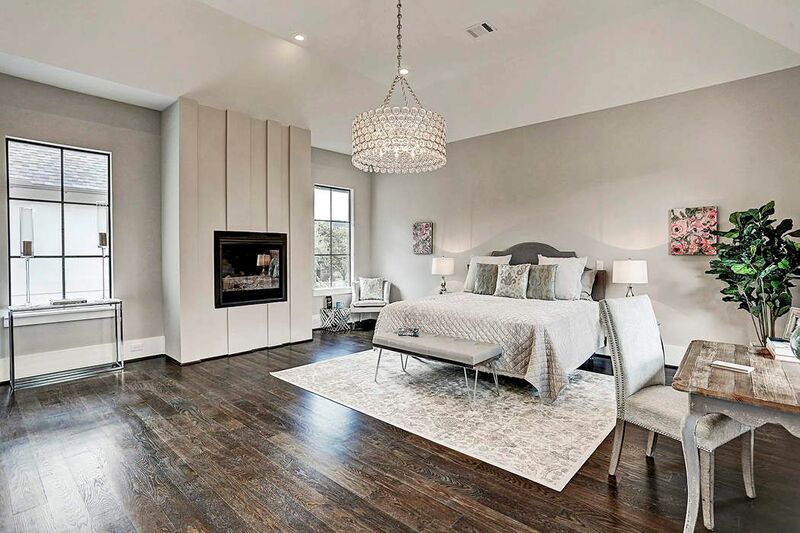 For detailed information on finishes and a timeline for completion dates, please contact the listing specialist.